to improve the quality of your own life -or- to practice worldwide in the global community! The Most Powerful Self-Development Tools that you are ever likely to discover! Interesting and entertaining, our introductory lectures, advanced self-help seminars, and comprehensive workshops, and teleseminar/webinar events offer personal growth and self-help training of complex topics, both classic and contemporary, that elevate you to new heights of awareness, excellence, peace and success! Mind, Spirit, and Life in personal transformation. Are you a medical and/or holistic practitioner . . .
as an alternative to pain pills and anti-anxiety medications – and other highly effective procedures that accelerate results and greater success with your clients? Our self-help training series and our professional certification training programs will automatically expand your knowledge, alter your perceptions, stir your imagination, refine your skills, and support your well-being, while keeping you informed of the latest trends in health and personal development, and entrepreneurial tools and resources. and skills you will use your whole life long! how the mind works, or why people do the things they do? Do you currently work with clients who are struggling to make lasting changes in their lives? Do you want to help people move out of their own way, overcome their past, achieve their goals? Do you want the help people become their personal best, and create the life they want to experience? Are you a coach, educator, therapist or psychologist . . .
Who wants to learn the newest skills and powerful, long-lasting techniques to help others overcome unconscious fears, beliefs, and barriers that prohibit people from making desirable and sustainable changes in personal development and self-improvement in focus, peak performance, communication, self-management, well-being, and to living their ideal or best life? Do you want to Expand Your Career Horizons and Increase Your Monetary Power? Do you want to truly become self-sufficient and self-empowered as your own boss with flexible hours, having a profitable business and rewarding lifestyle helping others in a new, powerful, and effective way while you enjoy a self-satisfying career? Do you aspire to contribute as a positive role-model in a meaningful way to the best interests of humanity? If you said “Yes” to one or more of these questions . . .
Start adding powerful skills and techniques to your toolbox! Use Your Knowledge and Skills to practice Worldwide. in mindful living that can empower anyone! and practitioners to utilize these powerful skills and techniques in effectively serving their patients and clients, and assisting themselves to elicit goal-oriented success. 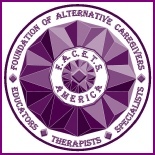 is an association for professional practitioners, therapists, trainers, and experts united in a holistic philosophy. We are dedicated to the advancement, advocacy, and support of alternative and complementary disciplines and healthcare practitioners for the enhancement and wellness of the mind, body, spirit, and soul. most useful, effective and empowering, self-management and wellness training programs available anywhere. We believe that each person has something special to contribute to the world. The schedule of training events are posted.